Does ‘Nero Recode’ support latest device profiles? ‘Nero Recode’ is an easy to use application, which supports transcoding various media source file formats to a variety of target video formats, so that you can playback your trans-coded media files on compatible devices. A comfortable function in ‘Nero Recode’ is supplying many predefined device profiles in different device categories, so that you can select the proper device profile, and trans-code all the media files for your device, easily. The answer is “Yes”. 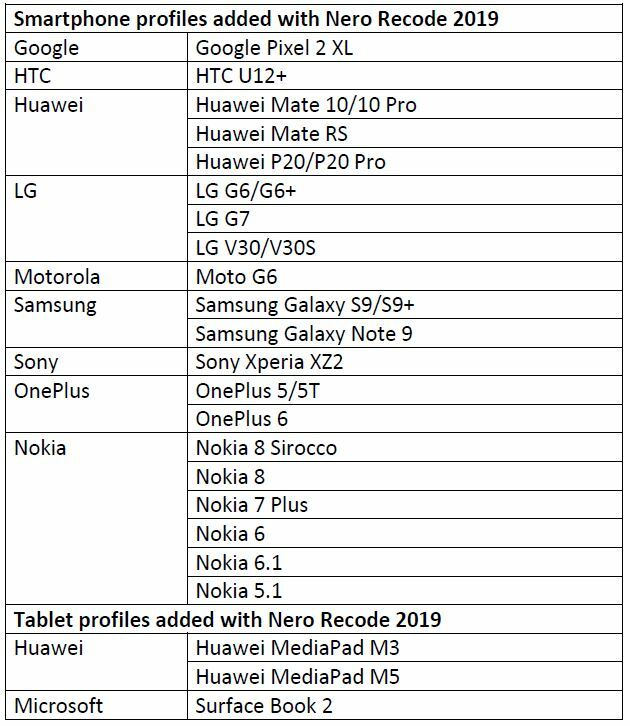 About every half year, ‘Nero Recode’ will update its list of supported device profiles with latest popular smartphone and tablet devices. 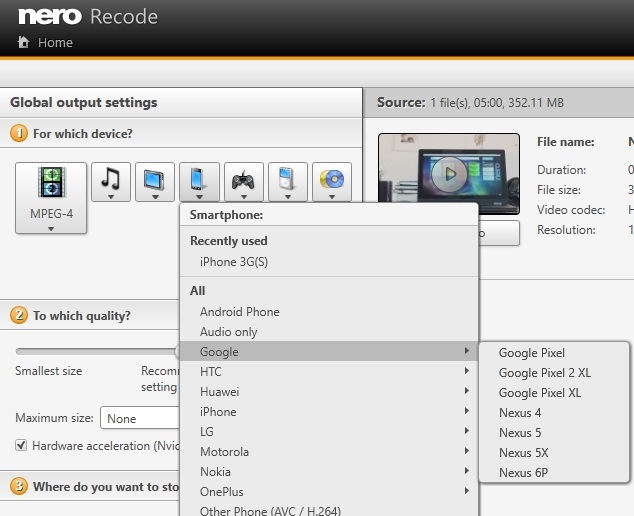 From ‘Nero Recode’ 2019, you do not only benefit from profiles for smartphone and tablet devices, but also have the option to select disc compatible profiles to trans-code to fully video disc compliant files. This is very beneficial if you want to use disc compatible files in your editing or authoring project in ‘Nero Video’. For detailed information on this check Nero KnowHow 00131.